There are still more than one million veterans looking for full-time jobs with tens of thousands of soldiers leaving the military in 2016. Many employers aren’t getting the right information and networking help they need to successfully hire veterans, Reservists and National Guard members. Center for America (CFA), a nonprofit, is conducting a national survey among employers to identify the specific problems that employers in different industries and locations are having in recruiting military candidates. CFA is funded by foundations and Phillips 66, so it is providing its help to associations and employers at no cost. “We realize many resources to help employers hire veterans are too general, too complicated or too costly to really help them find and hire military candidates,” said Brig. Gen. (ret) Marianne Watson, director of Outreach for Center for America. 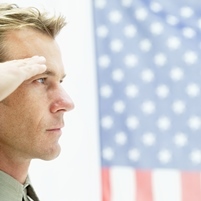 “So, CFA is developing free, industry-specific networking and web-based education resources to make it easier and faster for employers to connect with the right military candidates. CFA has been coordinating the American Jobs for America’s Heroes national campaign for four years under a written agreement with the Army National Guard in Washington, D.C. Contact Steve Nowlan (snowlan@CenterForAmerica.org), president of Center for America and coordinator for the American Jobs for American Heroes campaign, with any questions or for free help with your veteran recruiting. Get a head start by downloading a free copy of CFA’s Best Practices Guide for Veteran Hiring at www.CenterForAmerica.org/bpg.html. This entry was posted in Business News, Human Resources and tagged Center for America, hiring, HR, veterans by Indiana Chamber of Commerce. Bookmark the permalink.